Clever marketers already know that traditional, "massive" advertising on Facebook no longer works by itself. Today, everybody seems to be talking about retargeting: website retargeting, app retargeting, mobile retargeting, customer list’s retargeting, and so on. I can honestly say that, by running retargeting campaigns on Facebook, I significantly increased my own company’s revenue, and our clients do the same every day. I spent an enormous amount of money on Facebook advertising before testing retargeting. I could witness firsthand the astonishing results of some of our campaigns, which gained us over 800 percent ROI. For example, every advanced marketer considers web retargeting the winning strategy for increasing leads, customers, and sales. Don’t you think so? I thought so, too. Then I met CRM retargeting. CRM retargeting represents, beyond a doubt, the new frontier of Facebook advertising. It allows you to create high-performing Facebook ads, thanks to amazingly detailed customized features. Imagine having an extremely detailed contacts database. A database that contains useful information about your leads and customers, i.e. how much money they spent on your website or which topics they like. This database can give you crucial data about personality, behavior, and preferences, without even having a website. Well, that database does exist and can exist for you. CRMs and marketing automation software are the place where your business stores the most important data, data that we’ve never had before. Now, imagine what would happen if you could create several retargeting campaigns for these people, with a compelling copy for each group. It sounds good, right? And the news is that you can do it. CRM retargeting is a system that allows you to create extremely detailed Custom Audiences for your advertising campaigns, based on the data you already have in your CRM. The challenge professional marketers and business owners face today is only about how to make the most of these data and use them to increase your sales. The information that a CRM provides you is potentially unlimited. At the same time,some of this data can help you make extremely effective advertising campaigns, especially on Facebook. In this article, I will show you six CRM retargeting templates that you can use for your Facebook ads, using deducible from the data you already have in your Infusionsoft app. Being an Infusionsoft customer, I’ll show you some screenshots that will help you do the same. The easiest way to increase your profits while spending less on advertising is to sell more services or products to existing customers. (That’s the heart of Infusionsoft’s Small Business Success Method). Within your client list, you can create segments of your audience based on products purchased, and have a group of "special" people, i.e. frequent buyers. By creating a Custom Audience of frequent buyers on Facebook, you can offer new services and products to your best clients and increase customer value. With this template, you can create an audience of "procrastinators" within your list. These are people who click on links of all your email follow-ups they receive, yet buy nothing. Unlike frequent buyers, this type of person needs a different stimulus and usually waits until the last minute to grab your offers. By knowing this information and creating a Custom Audience on Facebook, you can use compelling copywriting elements in your ads and leverage the right triggers (like scarcity and urgency). Another effective way to segment your audience and offer services and products in an appropriate manner is based on the funnel stage. Your app allows you to select a group of people based on their level within your funnel. 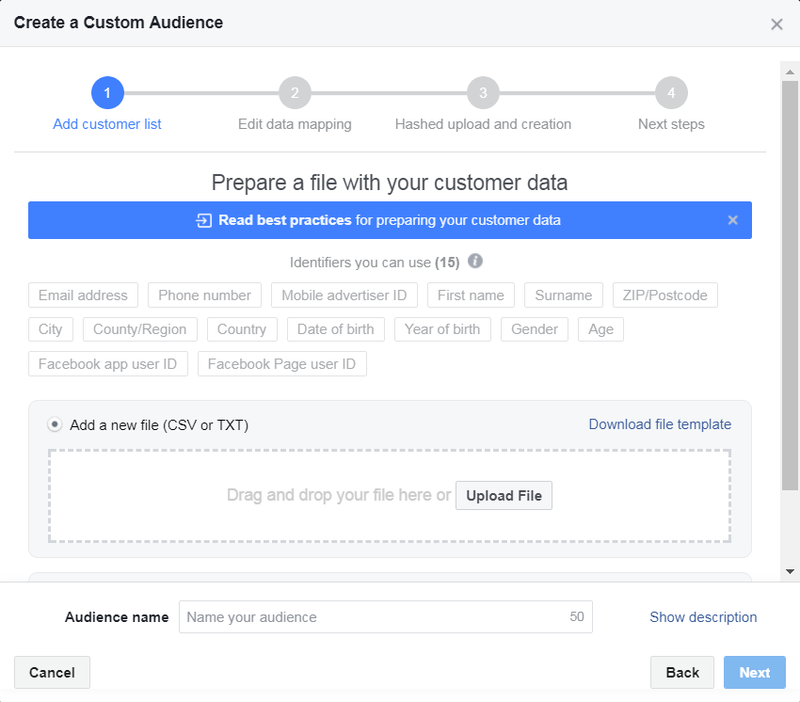 You can identify several Custom Audiences on Facebook by creating segments of your CRM list based on different opportunity stages, driving the right ad message depending on where the leads are. I’m sure you already have some ideas about how to use these. For example, you can create upgrading campaigns, customer retention campaigns, testimonial requests from recent customers (won stage), or even reactivation offers and down selling (lost stage). Thanks to the "Lead Source" segmentation, you can create a Custom Audience of people that comes from specific sources. In the image below, for example, you can see how to segment your list by creating and selecting an audience of all users who subscribed through a Facebook ads campaign. It’s all about responsiveness here. If you notice that some lead sources are better than others, you can run cheap retargeting campaigns in order to increase engagement with your brand. People coming from unresponsive sources can be targeted on Facebook to create, for example, nurturing campaigns that may show useful contents. This strategy could even improve the whole email deliverability of your campaigns in the long term. One of my favorites. 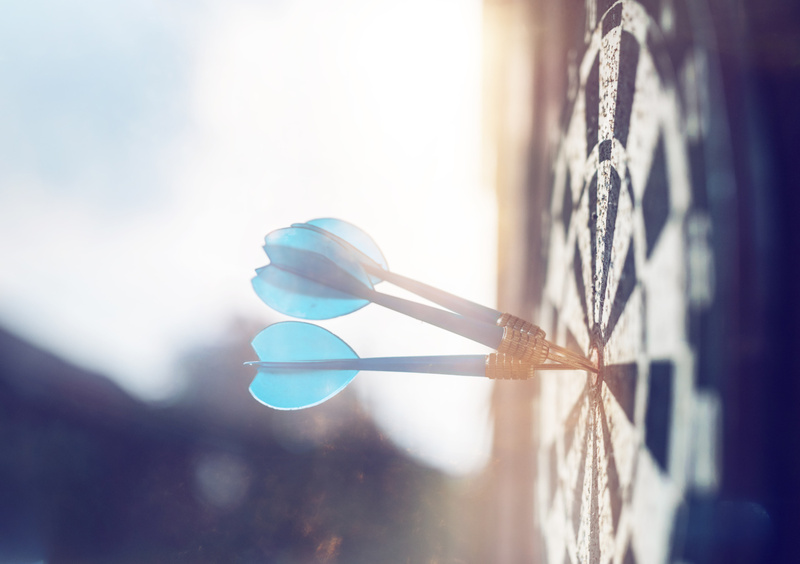 A particularly effective technique to create segments and, consequently, more effective Ads, consists in identifying your audience through the "lead score." A lead score indicates the quality of a lead. The more flame icons the user showcases, the higher the quality of the associated lead. 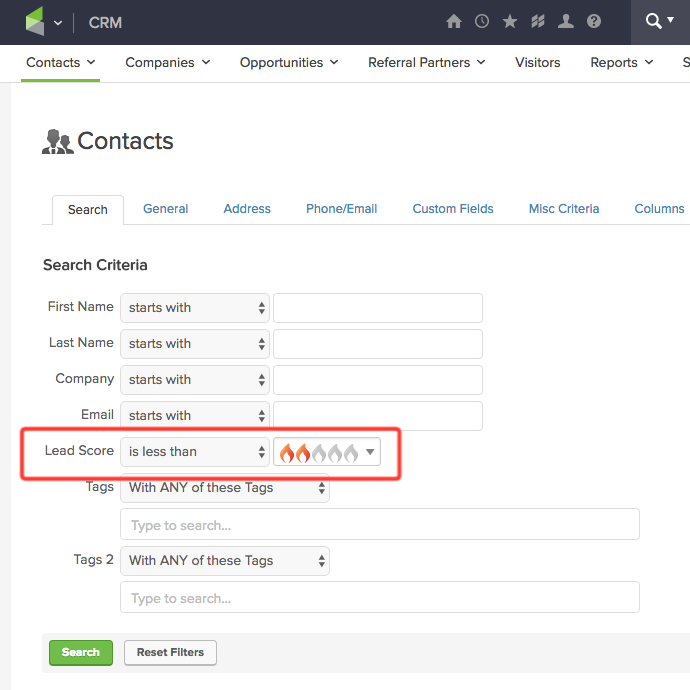 For example, by selecting all contacts with less than two flames, you can identify all cold leads that do not open or receive your emails. Facebook ads campaigns for this audience may show to these people new content or deals that they probably missed through email. 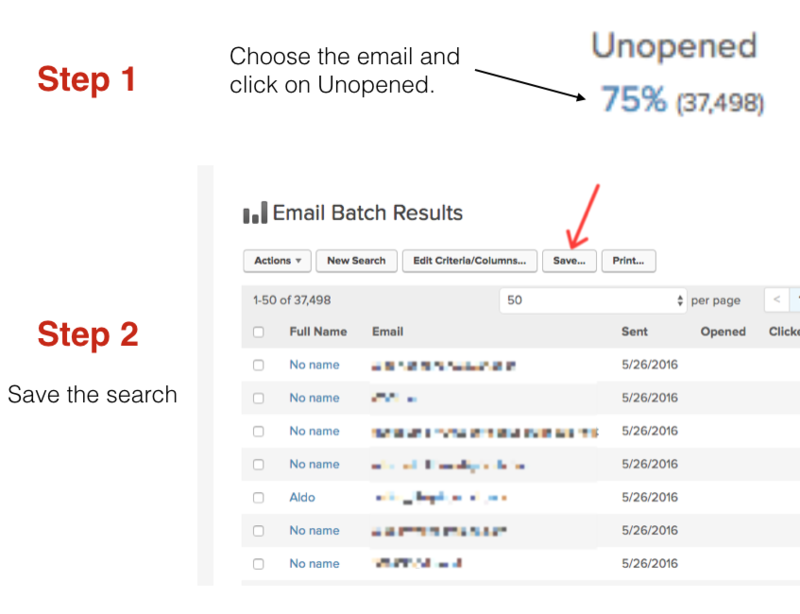 Lead scoring is one of the best features in the Infusionsoft app, and it’s based on personalized rules defined by you. The opportunities are endless. While remaining a key tool in your advertising activities, email marketing may be about to lose some effectiveness in the coming years. Imagine, for example, that you just sent an email to a list of 10,000 people, yet gained only a 10 percent open rate. What happens to the other 9,000 contacts who did not open the message? Normally, you can do nothing, unless you have a retargeting campaign on Facebook that shows your ads to those who did not open your emails. In such cases, you can reinforce your email marketing campaigns, by simply selecting contacts who did not open your email. By uploading this list’s segment on Facebook, you can run ads to inform these people about your offer or show new content, because basically, they missed your emails. In product launches, this would give you engagement on steroids! 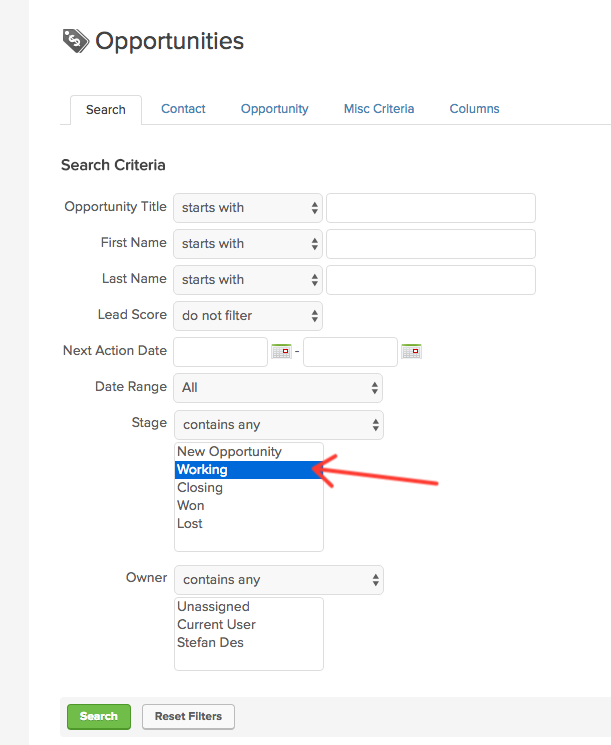 In the example above, I showed you how to filter your database to create Infusionsoft saved searches. Once you have created these segments, you can simply upload a filtered CSV on Facebook. However, CRM retargeting can be fully automated by synchronizing your app with your Facebook Custom Audiences to be perpetually up to date. 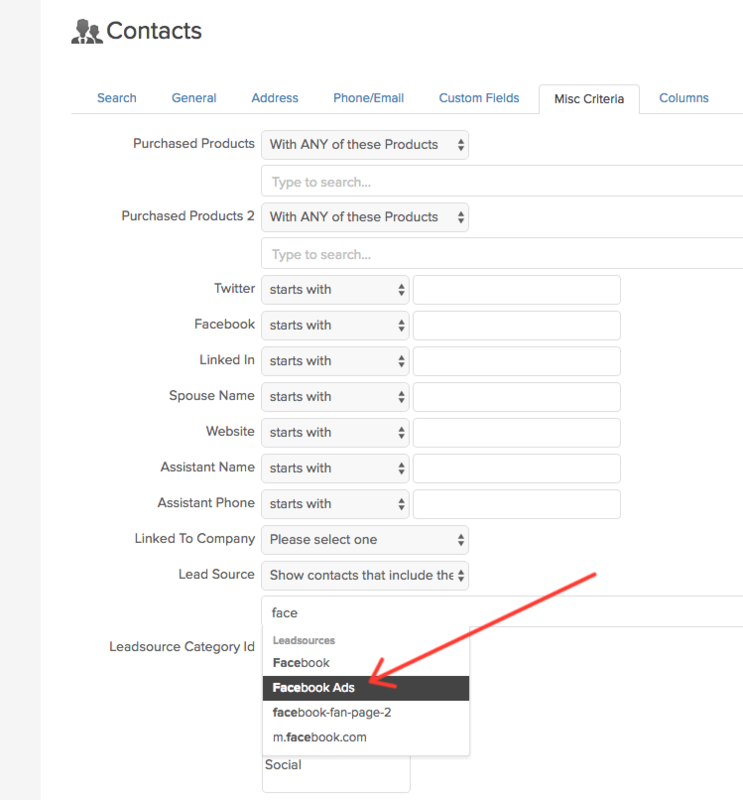 This can be done through the “Custom Audience Sync” tool, which is the best way to set and forget these audiences since they will be mirrored with your segments, adding new contacts or deleting unsubscribers automatically. In this article, I showed you six CRM retargeting templates to maximize the potential of Facebook ads thanks to your Infusionsoft app data. This strategy will allow you to create incredibly powerful ads that will drive more sales to your business using the same volume of contacts you already have. Now it's your turn. As you certainly know, success in any business is not about reading. It is not about “knowing” things. Rather, it is about taking action and today, we live in an era where retention is even more important than acquisition. Your Infusionsoft app stores all the information you need to bring retargeting to the next level. Go ahead and begin right now. Your customers are waiting for you!